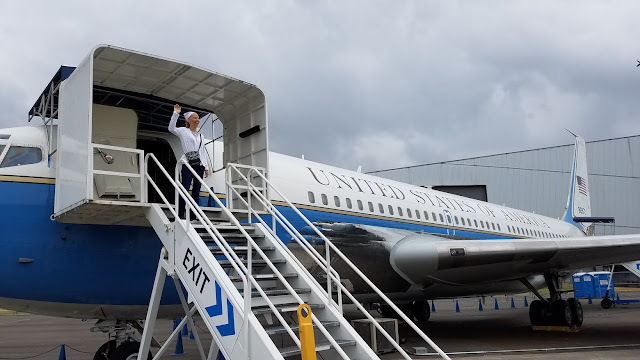 We're back from vacation. In the meantime, here's some photos you may peruse. Back when I was 13 or so, Hollywood was doing pretty darn well. It was pretty common for middle-class folk to load the crew into the family truckster and go on down to the local mall or wherever and catch a movie at the cineplex. 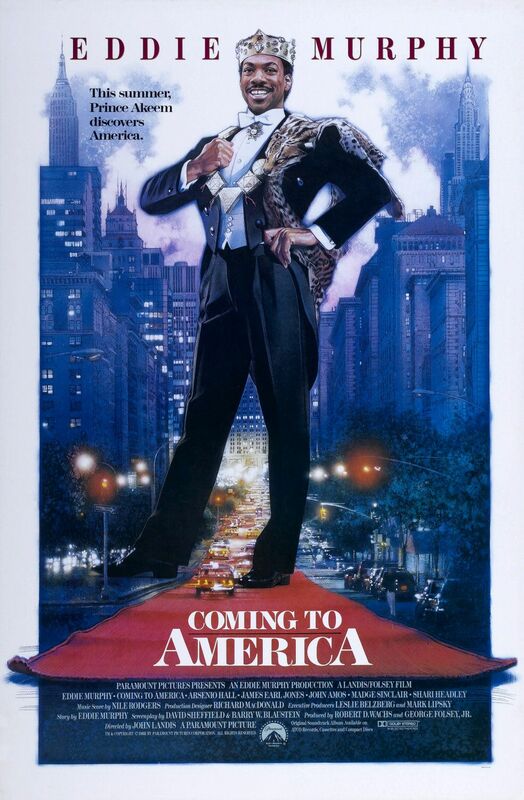 I saw Coming to America (1988) on opening weekend, and what I remember is: so did everyone else. 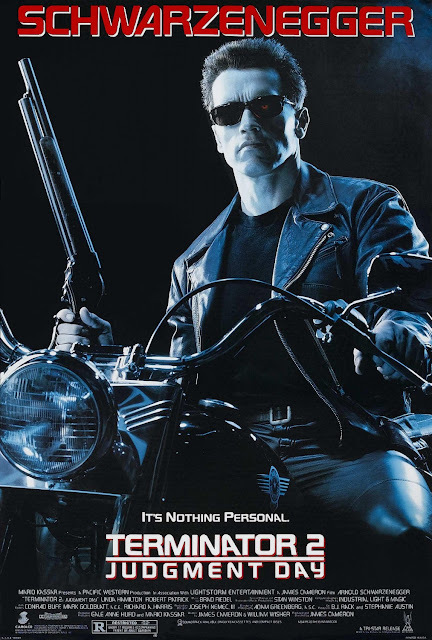 This movie was absolutely huge with me and my friends, but my parents watched it more than once (once it hit home video), and it still gets a lot of play on basic cable. In fact, we parked ourselves on the sofa after getting home from vacation and watched the movie just to give ourselves some decompression time. At this point, the movie has grossed almost $130 million that Box Office Mojo knows about, which isn't bad for a movie that likely cost about $20 million to make. In the manner of the best 1980's comedies - from Ghostbusters to Naked Gun, it's an imminently quotable movie, or seemed so at the time. At least it became that through repeated viewings. Not that surprising from a movie put together by Eddie Murphy and John Landis, I suppose. I don't just think Coming to America is a funny movie (I think it's hilarious), I think it's a fantastically written and perfectly executed all-ages movie, from direction to performances to editing and music cues. And all that's a reminder of what a set of talents we had in Eddie Murphy, Arsenio Hall, John Landis, John Amos, James Earl Jones, Madge Sinclair and Eriq La Salle and everyone else (Louie f'ing Anderson is in this!). I also think it's really funny that Black Panther will need to really think think about about what it's doing for a script and abandon the original Black Panther trope of King T'Challa to the U.S. undercover as a student lest we end up with a suspiciously familiar story. Maybe most remarkable is that the movie has such an overwhelmingly Black cast and then and now it's not discussed in terms of being a "Black" movie, and not because it was white-washed. I'd argue it's a movie that - while it has a lot of edges knocked off to reach an all-ages audience - makes no bones about being by and about Black people, and it's hard to say exactly why it was massively successful across the planet (the movie has a very large international box office). Maybe it's the fairy-tale nature of the story? Prince Hakeem and Semi's familiarity as protagonists? I dunno. Anyway, what's to say? If you don't like this movie, you're a little dead inside. We're in Seattle for a week of vacation. We've seen the Space Needle, Pike's Place and a few other things as we caught up with old friends who've relocated to the area. Today it was just me and Jamie, and he headed down to the EMP. The EMP is a museum that was set up by Microsoft billionaire Paul Allen and was originally going to be all about music. Well, half of the museum is - and we went to that, but this isn't a music blog and it's weird to take pictures of certain kinds of exhibits or art. But the EMP is now also home to Paul Allen's other collections, I guess. 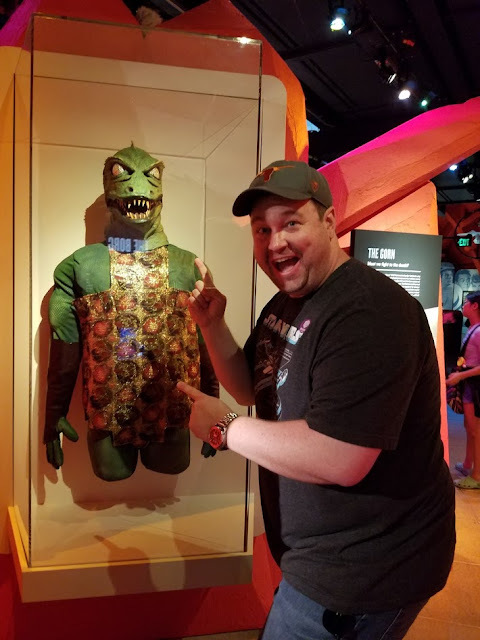 Above, you see me freaking the hell out about the Gorn costume from the Star Trek episode Arena, the episode that first piqued my interest in Trek as a kid and - in my humble opinion - one of the finest hours of television ever produced. 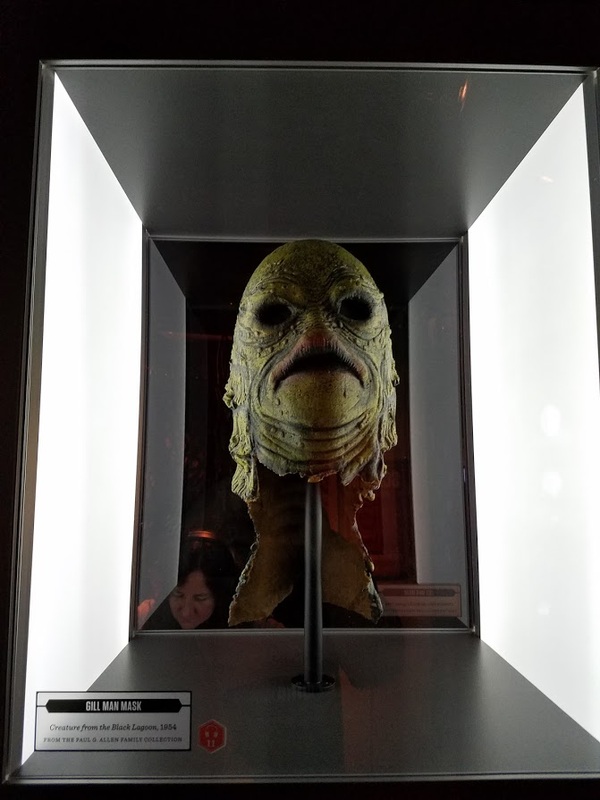 But, I was basically just freaking the hell out through the whole museum as it was truly an amazing spectacle of genre movie and TV props and FX items. You can view my stash of photos here. 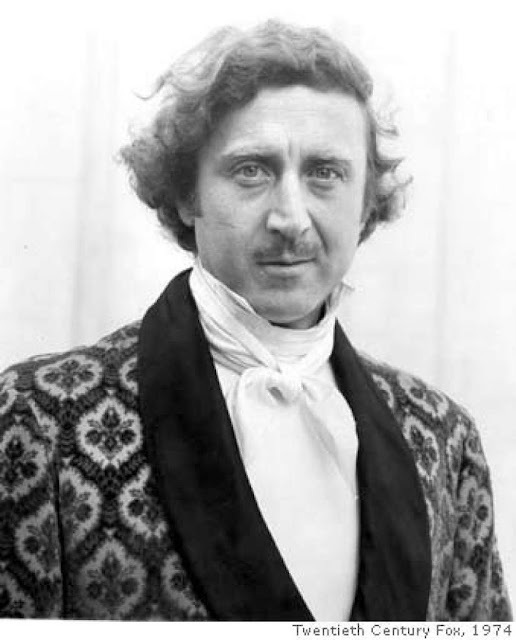 Gene Wilder has merged with The Infinite. Included in everyone's list of favorite movies, you'll find Blazing Saddles and Young Frankenstein. Like you, I watch both with alarming frequency, just dropping in for 30-45 minutes or more when I see them on cable. We watch Young Frankenstein a day or so before Halloween every year as a break from actual horror movies. There really wasn't anyone who was like him before and there certainly isn't anyone like him now. Who else brings such a thoughtful, skilled, deftly nuanced approach to comedic roles in quite the same way - the punchlines sometimes going by so quietly you almost missed them on the first go-round - or delivered with such staccato bombasity you barely have time to register what's happening before you find yourself laughing. And that's part of what makes the movies work so well on watch after watch after watch. He managed to wrangle the cartoony freneticism Brooks brought to the screen in Blazing Saddles, but he was never the straight-man. He was just funny in his own right, and he knew how to make a scene work far better than it should, even when the jokes were so broad you could drive on them. Of course, his Willy Wonka came seemingly out of nowhere, a manically perfect performance not intended to comfort children but there for them to understand when, maybe, they got a little older. That weariness and dissatisfaction of the genius among mortals, that keeper of the faithl in the land of the wicked, just brilliantly played. I'll always like Young Frankenstein best, but that won't come as a surprise. There's nothing in the film he does I'd say doesn't work. He's in perfect sync with everyone in the cast, holding all their various tones together and making for one of my favorite comedies in any medium. I'm very sorry to hear Mr. Wilder has passed, but am so grateful for what he brought us, and I'm cheered by the massive outpouring in social media. I hope he knew, and I hope his family knows, how much love people had for him and his work. The Alamo is an interesting place because they do show exploitation films, they do show controversial material, and at those special screenings, they usually have a host put a frame around what you're about to see. This movie was shown as part of the "Super Krime" series which also contained last week's Danger: Diabolik, but was the riskier showing, certainly. For pop-cultural anthropologists, there's a lot to chew on here from the casting to the racial issues to the pre-code genre-ambiguity and content and - for modern pop-culture which so often includes super-villains in the mix, Fu Manchu lays out the blueprint for so much of what would come afterwards. By today's standards, your grandparents were racist as hell. Even if they were hip, bohemian folks - by the rules of what non-awful people consider decency and mannered public discourse, what you'd hear come out of Grandma and Grandpa's mouths was likely to get them the side-eye at Thanksgiving - but we're all a reflection of a time and a place. Attitudes change. Society, hopefully, advances. Insert your own election-related joke here. 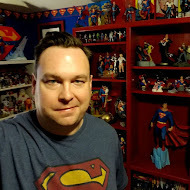 I am not a paid or professional film historian or scholar, but I have an interest in the history of pop culture and the film industry as well as genre film and whatnot. A few years ago, I came across a picture of Myrna Loy playing the daughter of Boris Karloff in a film I'd never seen. The catch: they're both in yellowface as the nefarious Fu Manchu and his daughter. A bit more digging told me that this movie was once a favorite, included in some circles as a premier classic horror film of sorts. But you can't get access to a Fu Manchu film all that easily (and there are many), and it's something that doesn't screen all that often - a bit like the President's Day sequence in Holiday Inn (which they simply excise when they show it as it doesn't advance the plot, but it does feature a whole lotta your beloved Hollywood favorites in black face*). And, yeah, I saw the movie featured yellowface, and cast most of the Eastern hemisphere in a nasty light, so it made a bit of sense to me that the studio was in no big hurry to remind the world they had the film in the collection.